Candidate must have reached her 23rd birthday by June 1, 2019. Candidate shall reside in the admissions area: Lafayette Parish, plus a 10-mile radius outside the parish boundary. Candidate shall have an interest in voluntarism and a commitment to community service. Candidate shall have an interest in developing her potential for voluntary community participation. The 2019-2020 Provisional class will be a DAY CLASS. Provisional members shall be committed to attend a two-hour monthly Provisional Meeting and complete the Provisional Training Course held August 2018 – May 2019. All active and provisional members are required to attend a monthly General Membership Meeting, and complete Fall and Spring Placement Interviews. 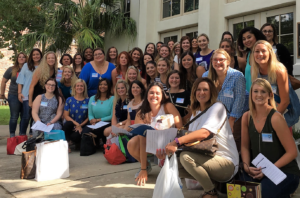 Each active member is required to fulfill a “placement” every year in order to serve her community. Most placements average 6-12 hours/month from August through May and can be done by working at a League-chosen community project or within the League’s administration. All active and provisional members are required to complete a task and market rotation at Tinsel & Treasures. Provisional members are new members who are in the process of completing admission requirements for active membership. As such, you shall be committed to completing the provisional course within the following year after your acceptance of provisional membership. This course is designed to provide opportunities to learn more about the community, train for volunteering and learn about the responsibilities that come with League membership. If you are unable to complete the provisional course for unavoidable reasons, you may be granted one extension of 12 months, if approved. While completing the provisional course, provisional members attend General Membership Meetings, but are not eligible to vote or hold office. The provisional year is from August until the following May. 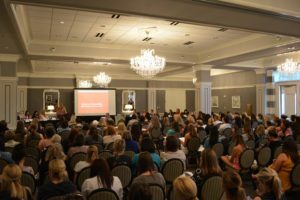 Informational meetings will be held in late 2018 and early 2019 to allow interested women to learn about Junior League of Lafayette membership. A complete list of the provisional course requirements is made available at this meeting.